Timeless Teachings from Kenneth E. Hagin. Life-changing teachings continue to help believer's grow in their faith-life and loving relationship with God. 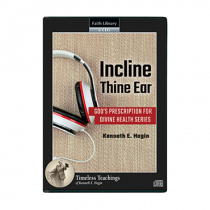 Continue to learn about faith, love, prayer and more through these eternal lessons from Kenneth E. Hagin.